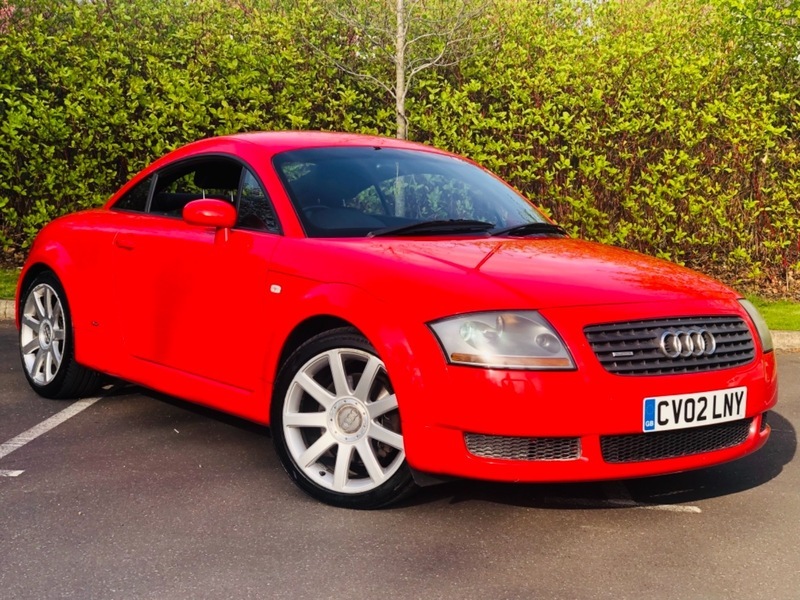 HERE AT HARIS AUTOMOTIVE WE ARE PLEASED TO OFFER THIS SPORTY 1.8 TURBO 225 BHP QUATTRO FOUR WHEEL DRIVE COUPE + PRESENTED IN EYE CATCHING 'MISANO RED' WITH BLACK HEATED LEATHER SPORT SEATS + XENON HEADLIGHTS + 17" MULTI SPOKE AUDI ALLOY WHEELS + 6 SPEED MANUAL + CD PLAYER + BOSE SPEAKER SYSTEM + DIGITAL CLIMATE CONTROL + ELECTRIC WINDOWS + ELECTRIC MIRRORS + TRIP COMPUTER + HEIGHT ADJUSTABLE SEATS + REMOTE CENTRAL LOCKING + MOT APRIL 2020 + LOTS OF BILLS/RECEIPTS + HPI CLEAR. DRIVES SUPERB FANTASTIC LITTLE POCKET ROCKET! !